"A piece of Death's soul miraculously survived after you slayed him to become Death. He is now your little buddy! He can help you find his Robe and Hood if you click his scythe. Beware of his touch if you aren't his friend... Evil Hero WingBane was the one to discover Death in this predicament." As a note, if you aren't the owner of the pet, you will perform the /feign emote. Will also have a skull chest on his back for the bank functionality. Onto the quest dialogue! Quest Name: "Never say die!" Okay... This is embarrassing! LOOK AT WHAT YOU DID TO ME! I'M FREAKING TINY AND CUTE! Oh well... I am, or rather "was" Death! So "killing" me wasn't exactly possible. Despite losing your powers, you still uphold Death by title! Might as well make it 100% official... My Robe and Hood scattered when I "died". Luckily I left behind a simulacrum of myself in the place "YOU" killed me! What? This is an MMORPG. Do you really want me to use "respawn" logic? Just vanquish the simulacrum and you will "reap” the rewards! HA! Who says I'm not funny? Death's Skull Hood description: Now you too can look as handsome as Death! Well if you don't mind having no skin... Stay away from cats and blonde, evil, little girls when wearing this! Death's Robe Description: A good way to lose weight fast! It's to DIE for! No seriously! Notes: Mini Death's mention of Limbo and Grim Adventure are a reference to The Grim Adventures of Billy and Mandy. The Hood's description references Greg from Conker's Bad Fur Day (He hates cats. A LOT!) and Mandy from the previously mentioned cartoon. Pet Art: Clicky! Credit goes to Hikari @ItzHikari! Black Friday Pet suggestion by me. Dark Makai Pet (Black) This is black version. Santa Daimyo Pet suggestion for Frostval 2016 Quibble Coinbiter's shop. My Pet suggestion for beleen pink shop. I believe in a totally different type of pet for AQW. This pet is an attack pet, it doesn't need an armour along with it to attack like the battle pet but this one attack automatically on its own in battle the player takes part in and does some real damage. It levels up to the same level as its owner, a bit like in dragonfable , it could have multiple featues, block, heal, attack and mega attack. It does it on its own without us choosing the attack for it, just randomly. It could come in the form and shape of any pet but I personally like it as a dragon. Zorbak wearing the Paragon armor. Another pet like the Ceremonial Void Sword? I would like a faster way to farm for void highlord. Hi! folks I'm Blueboy16412 a fan of Aqw. My Suggestion for a pet is a friendly, but useful in a way used to heal group players by +200HP. A Red Parrot pet version with boosts? Maybe like 15% boosts to all rewards, and can be achieved through extensive farming. The concept's not what one would usually think of, but a pet like that would make my game life better. This white little phantom seems too friendly to eat souls, what could be his purpose? Maybe to save them from everlasting wandering in the living world. 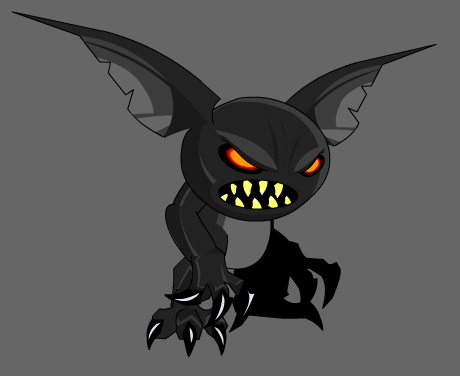 With there being a Caladbolg bank pet in the game, a Caladbolg battle pet akin to the Nulgath blades would be really cool, should any new legion items be added to Heromart. It's kinda sad because I just sold a lot of items to buy it, including my old Zorbak Bank Pet, just to equip it and feel the immense disappointment! I can't help but utterly regret doing so, as even the old Zorbak Bank Pet I had looks far better. Mini Shadowfall Castle Dracolich pet anyone? Why should Dage get all the fun when it comes to chibi versions of him as a pet? I think his greatest enemy/the forces of Good deserve a lil' something something too- so I created this, inspired by the recent Paragon Pet (with the dragon mount). Instead of Dage on his dragon, it's Laken the Good on the Seraphic Paladin's signature beast, the Adventus Wolf (all decked out for the holiday season, jingle bells and all!). It's a pretty messy design because I did it real quick as a joke, but I ended up liking it. I think it would be awesome to have the Nightmare Child from /dreammaze as a pet. I think it would be fun to make a set with her floating around (sort of like the grudge?). In all honesty though, I think it should've been an an AC pet (Rare) along with the original event a few years back. Why not make the Drudgen and Craig & Bamboozle pets non-member but have them require membership to obtain? Hey Staff Team, can you guys please make the quests from Snowball Amberarms accessible from your inventory like the nulgath larvae. A battle pet version of the Dire Lunar Wolf would be fantastic.